A somewhat bizarre suggestion was offered by a Jamaican cricket lover during the last week. He summed up the current string of losses and bad performances by West Indies against Pakistan by urging that these fellars should do much better if they simply would leave cricket alone and devote their energies to farming! I don't know what farmers feel about this. Is farming a last resort for failed individuals in face of a sport which now reflects the Caribbean as solidly inept on the international scene? We had thought cricket to be the ideal sport for Caribbean people, offering an avenue for global preeminence, but some cynics in the last decade or two have coined the term WORST INDIES in connection with our cricket! They say however, everything goes in cycles and so it is with cricket and crickters. The farming context has always been rather very close to the sport or pastime of cricket. Thus, we refer to farming of the bowling when one batsman monopolises the strike in an effort to better prevent further loss of wickets and thereby prolong the scoring of runs. Then, as well, commentators are very apt to categorize certain elements of crude strokeplay as "agricultural", as against more cultivated efforts. Very distinctly the terminology embraces a long innings as "labored" on the part of the batsman. And lower order batsmen are grouped as "tail enders" – signifying an association with sheep, just escaping being labeled as rabbits, the class of unskilled batsmen. I might tell our Jamaican caller to the television sports program that the Dominica cricket landscape featured the late Ivan Shillingford as manager of Bagatelle Estate dividing his time between captaining the Dominica team and producing rum and bay oil. His cousin Stafford Shillingford grew very sizable bananas at Durham Estate near Giraudel in addition to hitting big runs for his local clubs. Coming nearer to the present day Telford Shillingford might reflect on the days when he seemed to promote a philosophy that a few well directed straight sixes would help reduce the amount of work on his shoulders in bowling out the opposition. Like Telford, Claxston "Slappy" Shillingford is involved with growing pineapples along with rearing of pigs so he calls his farm Porcupine. Telford has no such fancy name, staying with the nameplace of San Sauveur. We may not forget the person of one Bobby Pemberton whose ownership of Union Estate at Pointe Michel has advanced to converting the land to a decent housing scheme. Pemberton 's highest score for Dominica was 92 and he seeks to outstrip this in becoming a centurion. To a great extent the pursuit of farming might be interwoven with a devotion to cricket. Then, too, we might accept that cricket has been very much a beneficiary from the world of farming. Who can deny that the spread of cricket in Barbados, Guyana, Jamaica and Trinidad in the seventeenth and eighteenth centuries was maximized by the relative ease with which a canefield was instantly converted into a playing field. And, why should we forget that cricket in Dominica ought to be eternally grateful to the firm of L. Rose and Co for donating the land for our Botanic Gardens, and stipulating that its north eastern area be reserved for a cricket field! Incidentally, we don't see any monument at the Gardens nor at Windsor Park (also land donated by L. Rose & Co) perpetuating memory of the donors! Believe it or not, a spectator at a match about twenty years ago was moved to speculate that the Botanic Gardens field could do him handsomely under conversion to banana production! Needless to say, this was at a time of relative crisis in the standard of Dominica's cricket. Reading into the existing dissatisfaction with West Indies cricket, there is public repugnance with two things. First, the attitude of players representing the region, and secondly the posture of the West Indies Cricket Board. Taking the matter of players attitude first, some of us with a reasonable sense of propriety will recall that the West Indies team, following a sad and sorry failure against a visiting team, proceeded to go down to beach to drown their sorrows! It gave the impression that a Test match was only incidental to the essentially greater importance and relevance of a picnic or a party! That's en route to dropping to where we now are number eight in the rankings among the Test playing nations! This has not been without some compliance of the West Indies Cricket board. Get the true picture in place. Rohan Kamhai was coach of the West Indies team which was then successful on the international scene. He made a fatal mistake of suggesting in his report that one or two players needed to be disciplined in the interest of team improvement. Net outcome, the board fired Kanhai and the downward spiral has not stopped! 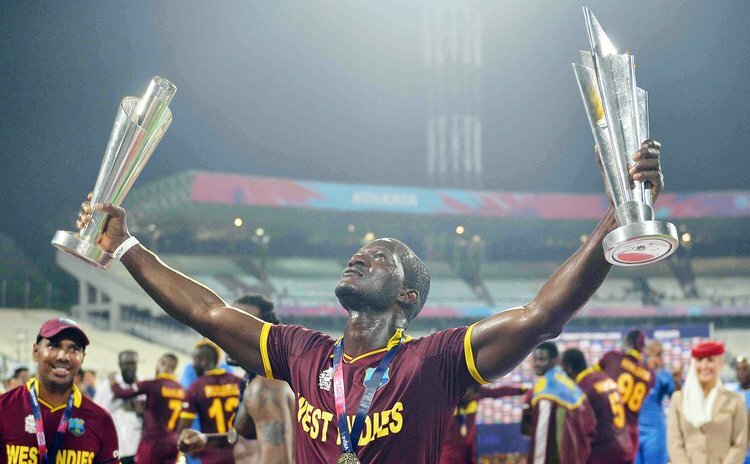 Very recently Darren Sammy, under whose captaincy the West Indies side was showing a sense of togetherness allowing them to at least elevate for performance in T20 cricket, has been summarily discarded! Sadly, the Board has not shown any sense of being erudite in dealing with its players. There is no concern for heritage in dealing with the sport. The total discouragement of Caribbean cricket lovers might lodge in even more pessimistic upheaval and take literal outlook in the Barbadian carnival extravaganza termed CROPOVER, meaning the crop of West Indies cricket is now conclusively over: many will stretch the lament to calling it Jour Overt (in the Trinidad idiom) or even Ole Mas (in the Dominica idiom) perhaps even PAPPY SHOW. If then the epitaph of West Indies cricket is to be written, then Reverend Sir Wes Hall, former outstanding pace bowling icon can do the honors with distinction. The players may do well to contemplate cricket as far more lucrative than farming in which "rain stopped play" has an entirely different meaning.